Light weight implementation does not impose a resource penalty for the application. 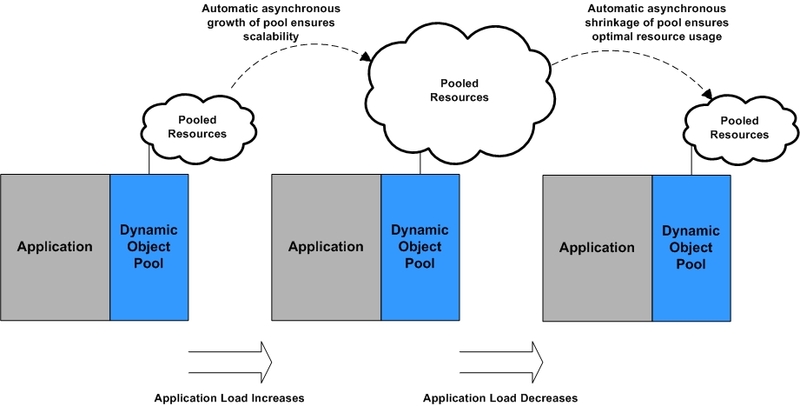 Extensible architecture allows any resource type to be pooled. Automatically detects increasing load and creates expensive resources in the background, for increased application performance/scalability. Automatically detects decreasing load and releases expensive resources in the background, for optimal application resource consumption. Detailed configuration settings allow complete control over all aspects of the object pool behavior, including when and how the pool grows or shrinks. Sample code to get your application up and running quickly. Copyright © 1998-2008 eXpresso Technologies, Inc. All rights reserved.